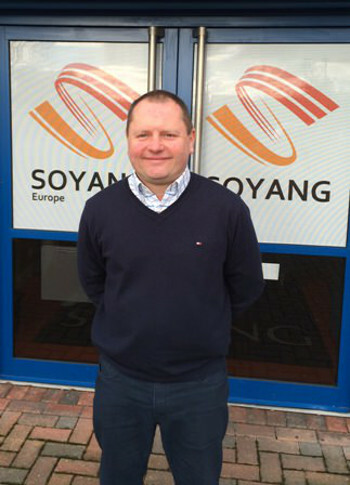 Andrew Simmons has been promoted to Sales Director at Soyang EuropeSoyang Europe, a leading supplier of innovative digital materials, has made two key appointments to bolster its business as it continues to grow and expand. The company's sales manager, Andrew Simmons is promoted to sales director to lead an enlarged sales team which has been boosted by the appointment of David Hunter, who will be responsible for the Midlands and South region. Hunter joins textile specialist Tim Egerton who is responsible for the company's activities in the north. Simmons' promotion has been taken in an effort to allow Soyang Europe's managing director, Mark Mashiter, a better opportunity to oversee operations as the company gears itself for a move to expansive new premises. This will almost triple the size of its headquarters and deliver significant improvements to the company’s already substantial stockholding and logistics with a planned 70,000sq ft investment in new property. 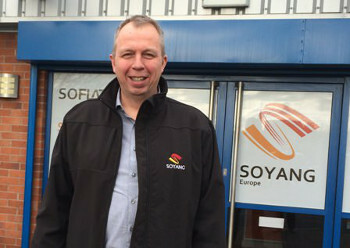 Hunter returns to Soyang Europe after a three year hiatus, having maintained a strong presence in the wide format materials sector in the interim. Already finding his prior experience as a printer a significant advantage, he says, "My understanding of customers' needs stems from time on the other side of the fence. Knowing the demands that they face on a daily basis allows us to work harder to deliver new, creative and profitable product lines, as well as ensure our core products are easily accessible." Simmons cites this last factor as a prime reason for the company's investment in both people and property. "This is a very exciting time for Soyang and my new position gives me the opportunity to greatly influence the continued growth of the company. We're instigating an extensive development of our range with a number of new and creative European and American manufactured materials being launched over the next few months," he commented. "The expansion of our facility is important because it enables us to ensure the best stockholding of products with next day availability throughout the UK - which is what our customers need to be able to respond to their clients' demands." Having spent the last two and half years with Soyang Europe, Simmons has a long history in the materials and textile sector - starting out in the footwear industry some twenty five years ago and spending the eight years prior to his move to Soyang supplying the exhibition sector. Hunter shares a similarly strong background in the materials industry and combined with Egerton's strong reputation forms a key part of Mashiter's plans. "The team we're building at Soyang Europe is based on expertise, client understanding and a drive to offer something new and different," he stated. "Our customers can benefit from the wealth of knowledge we have; not just from the sales managers and directors, but right through the team in the office and warehouse."